Many of you probably have your wishlists ready for Teacher Pay Teacher's Cyber Monday & Tuesday sale! You can get up to 28% off many of your wish listed items. Don't forget to add the code TPTCYBER before checking out. So, as I check out my wishlist and finish up some products, I thought I'd take a few minutes and link with Ideas by Jivey for her What's On Your Wishlist? linky. The number one wish listed item from my store is one of my very first products -- "Social Studies: I Can Statements" for American History. Looking back, these "I Cans" are simple and get the job done. I used this statments in my own classroom until Ohio changed it's Social Studies curriculum. 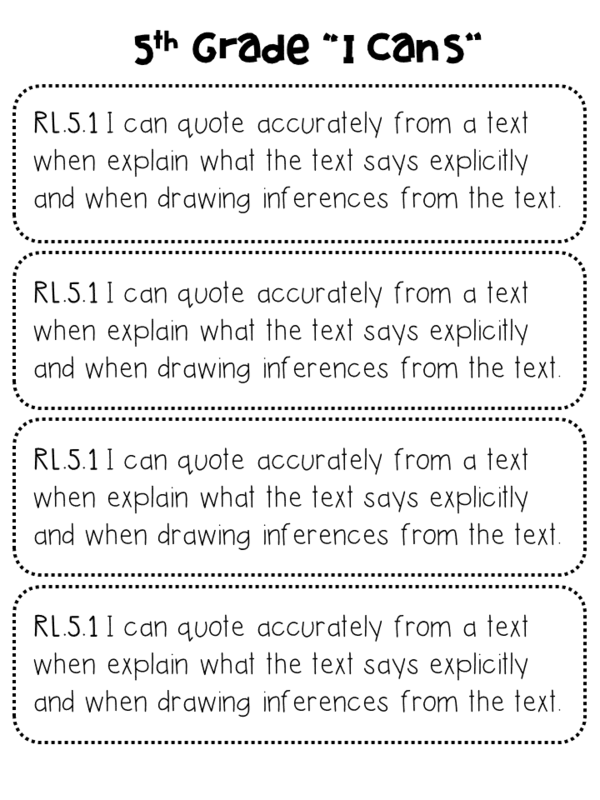 You can get the updated version of these "I Can" statements based on Ohio's Model Curriculum for both 4th & 5th grades in my store as well. At only $3 dollars regular price, you can get these as a great add-on item during the sale. They look great on colored card stock. The second most wish listed item is a new product in my store. 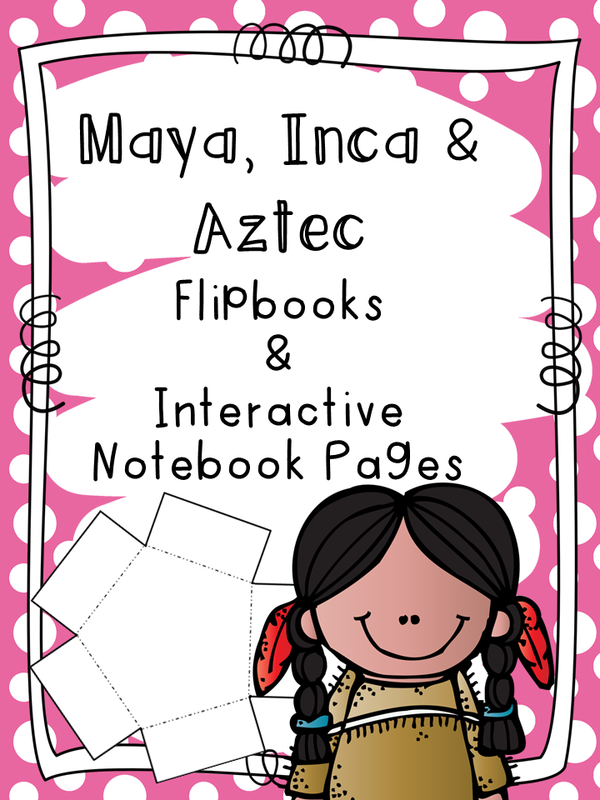 It's my Maya, Inca, Aztec Interactive Notebook pages! 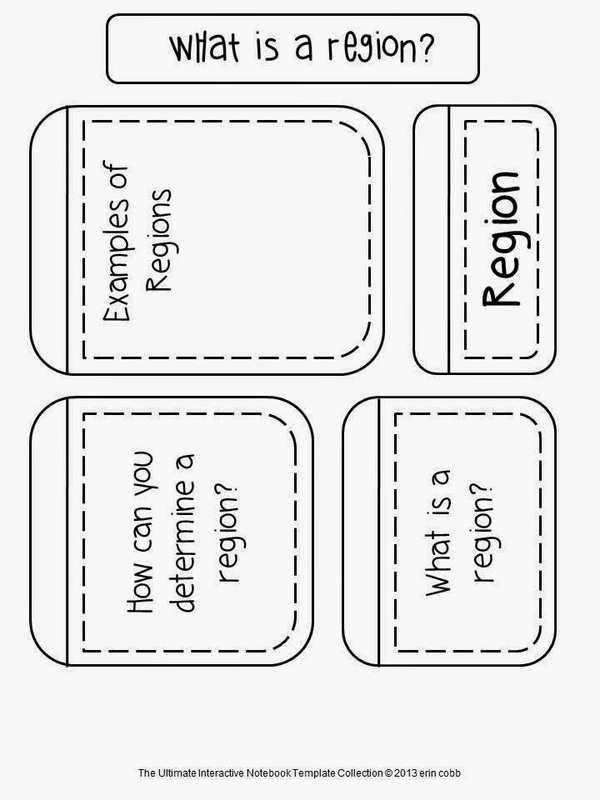 These can be used with any textbook, nonfiction trade book, movie, etc! These are a fun addition to any interactive notebook collection. 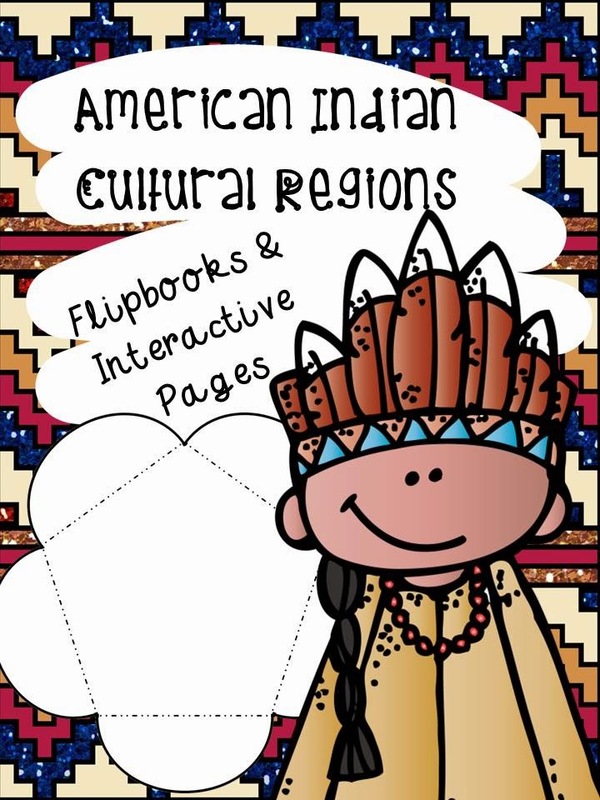 I created these after striking out when trying to find "big kid" Social Studies interactive notebook pages that fit my curriculum. Click the image to snag a freebie and download a preview! 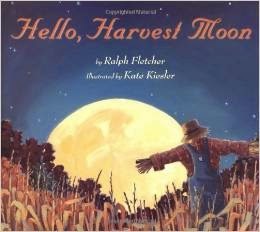 First on my list are from the amazing Hello Literacy's TPT Store. I've had these on my wishlist for a while now but with our nonfiction reading unit in full swing - these articles would be a great addition for small group work and RTI. And of course, I need Short Informational Text Articles Set 1 and Short Informational Text Articles Set 2. And you can never have too much clipart... I've wanted these Melonheadz cuties since they came out! What's on your Cyber Monday shopping list? I've been a regular blogger for four days straight - almost an entire school week. Wow! It's great to be back in a good habit even if I'm only writing a few short posts. 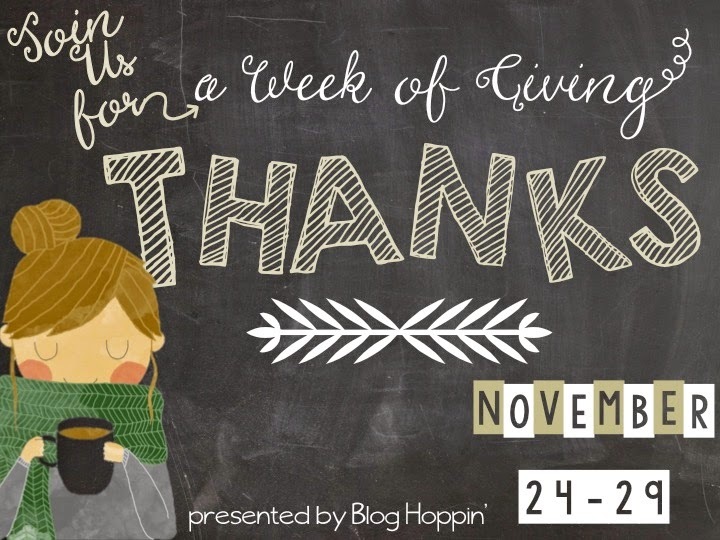 I've been loving reading everyone's posts from A Week of Giving hosted by the wonderful ladies at Blog Hoppin'. 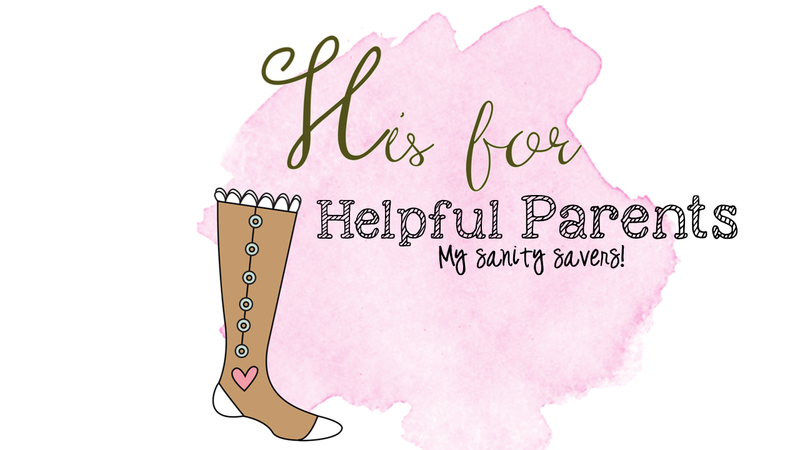 Today, I'm linking up to share my letter "A." I think student artwork helps my classroom feel like my home away from home. I love looking at my students work. It makes my classroom come alive each year. Yes, I spent countless hours on bulletin board but having rotations of artwork can really bring a class to life. And when I'm working after hours or need a pick me up - looking a fifth grader's Native American mosaics, book wreaths, or dressed up turkey can really change your mood. Even big kids love to be creative and I think that's worthy of display. I also love creating art as well although I'm no Van Gogh! Today, I wanted to quickly link up with the amazing bloggers at Blog Hoppin' for their Week of Giving linky. A short and sweet blog post for a short and sweet week. I like it! I can't express how grateful I am to work with my teaching partners. We've been together quite a while now and I can't imagine working with anyone else. We all have that Type "A" personality but we make it work. We plan and work together and I can't thank my "P's" enough for all their help over the years. 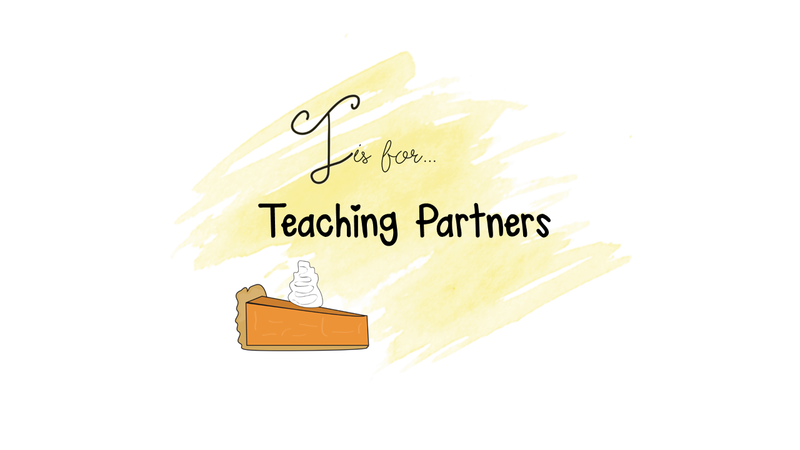 From co-teaching and planning, to integrating science and language arts lessons, writing a technology grant, picking up copies, prepping for a sub, or helping run RTI Reading Groups during intervention, I have fabulous partners! I have learned so much from each of them over the years. Amie, Michelle, & Chelsea - Thanks for the help, support, and doing what's best for kids! 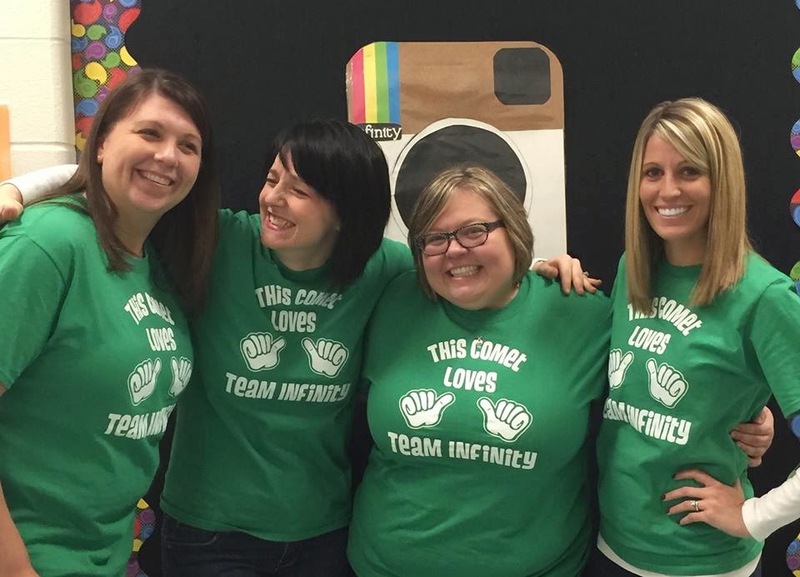 This comet loves her Team & Teaching Partners! We're worse than the kids! Okay, who else is excited for a TWO DAY week? As I was reading some blogs this morning, I saw several teachers have the entire week off... lucky! I'm excited to link up with The Teaching Trio for their Sunday Scoop linky before my short week! Okay, so my dishwasher is currently assembled in the middle of my kitchen! Yikes! Some piece broke off the "little strainer basket" so now it won't latch properly and complete a load. This is just not good timing. Thank goodness for a pretty handy boyfriend. 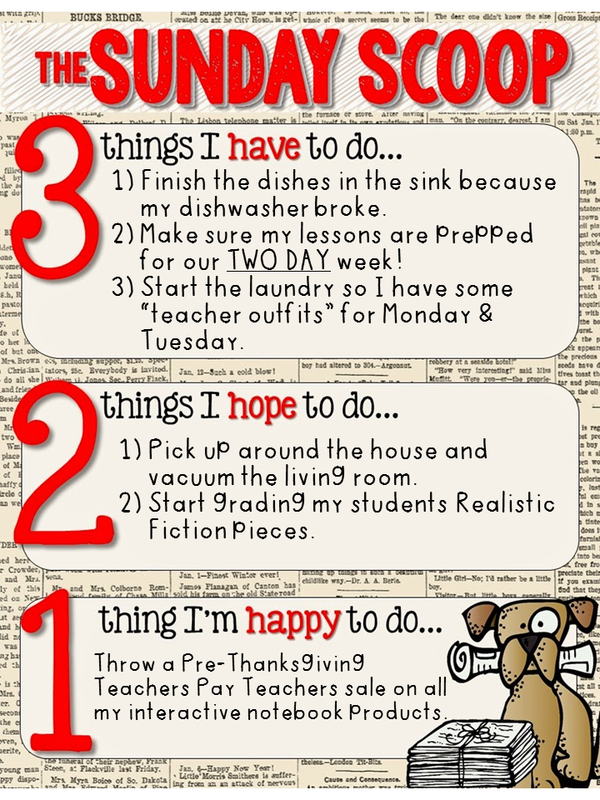 Besides, the dishwasher drama, I'm excited to prep for a TWO DAY WEEK (whoop whoop!) and do a small load of laundry for my two days of teaching. I'm hoping to get a little pre-Thanksgiving cleaning done around the house today and tomorrow. I need to get things picked up so we can bring out the Christmas decorations. I figured the Christmas decor would bring me some cheer as I grade 55 Realistic Fiction pieces over break. 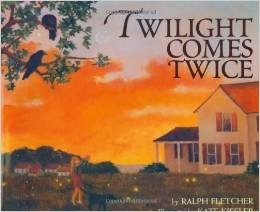 I just finished one piece and now on to the second piece... I feel like I live with a basket of graded work hovering around me like a black cloud. Anyone else have this same feeling? Last, I'm happy to announce I'm having a pre-Thanksgiving sale over at my Teachers Pay Teachers store! 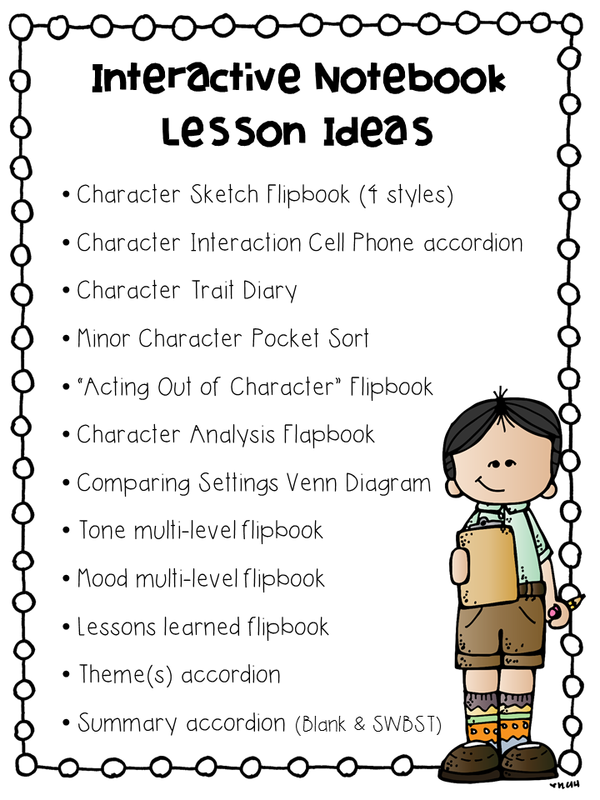 I just finished another set of interactive notebook pages, this time for Language Arts. 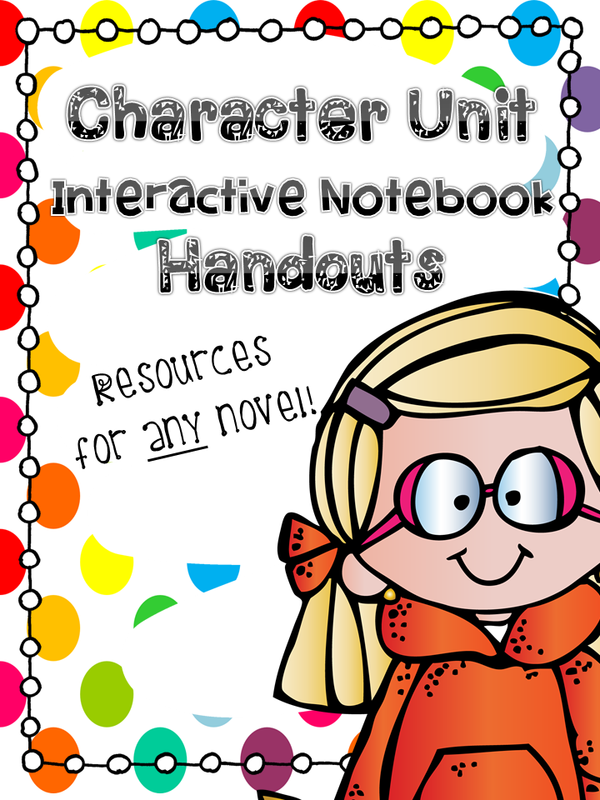 Head over and check out my Character Unit Interactive pages! I've also put my Maya, Inca, & Aztec pages on sale as well! Check out the previews for freebies! I'm working on some more Social Studies pages currently but they will probably not be finished until after my turkey coma this week! You can visit my store and sale here. Hope everyone finds great deals on Black Friday & Cyber Monday! Don't forget to check out this week's scoop! Up early to get some work done but I'm taking a little blogging break. I'm excited to finally have something to link up with Teaching Trio's Sunday Scoop linky! I've been actively reading everyone else's linky posts but I haven't had much to say to get in on the action myself! So, Sunday's are my get down to business days usually. Today, I need to lock myself away to finish grading the last of my essays. I also need to send home my minutes update for Learn2Earn.org (check my previous post here) since we had a party on Friday and didn't get to see all my students. We also just got sent a long list of emails about meetings for OTES prep, IEP meetings, RTI meetings, and staff meetings for the remainder of 2014. I brought my planner home to write them all down. I just can't remember all these places and times without writing it all down and putting it in my digital calendar as well! I'm hoping to spend maybe an hour or two grading or enjoying break to finish Mad Men Season 2. I got hooked yesterday and marathoned through nearly all of Season 2. Just three more episodes to finish up. What was life like before Netflix?? I also want to get all the dishes put away and cleaned up. We went to a friend's house for a game night yesterday so all left over dishes are still in the sink from prepping party foods and yesterday's misc. dishes. Thank goodness for a reliable dishwasher! Last, I'm happy to write sub plans this week! I'm taking my first personal day of the year. I don't always take my personal days but this year, I'm taking some time to get my hair cut, go Christmas shopping and just get my life organized. I have all sorts of appointments I need to book and places I need to call and there just never seems to be enough time in the school day... Hopefully, it'll be a fun day to get recharged and get some things done before the holiday craziness starts up!